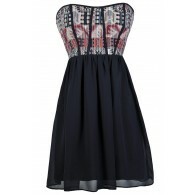 You have added About A Girl Lace Inset Dress in Navy into shopping cart. Although this dress is simple, it will make a big impact! 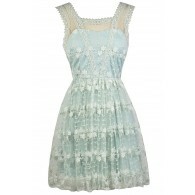 The About A Girl Lace Inset Dress is lined at the bust only. It is made of a substantial cotton blend fabric with a bit of stretch to it. It has a sweetheart neckline with a gathered fabric detail at the bust, miniature cap sleeves, an empire waist, and a fit and flare cut. 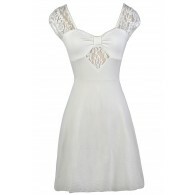 The shoulders, sleeves, and top back are made entirely of semi-sheer lace, giving it a girly touch. A semi-sheer panel of lace below the bust also adds a flirty touch, completing this look. The About A Girl Lace Inset Dress is one of those cute and versatile dresses you can wear many different ways! It is perfect to toss on with flat sandals to wear casually to class or running errands. You can also dress it up with wedges or pumps for brunch or dinner. Or pair it with cowboy boots for a cute country look! This is a great functional dress to have on hand for almost anything. Details: Lined at bust. 65% cotton, 30% polyester, 5% spandex. Hand wash cold water separately. Color will bleed. No bleach. Hang to dry. Small measurements: Length from top of shoulder to hemline: 36". Bust: 32". 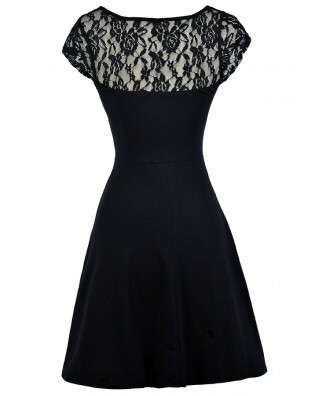 You have added About A Girl Lace Inset Dress in Navy into Wishlist. 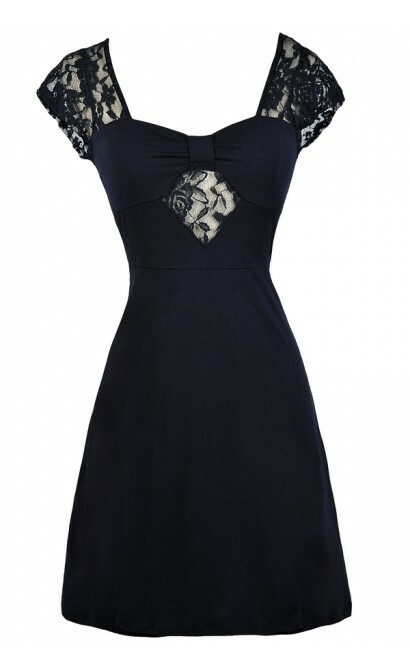 You have added About A Girl Lace Inset Dress in Navy for Stock Notification. 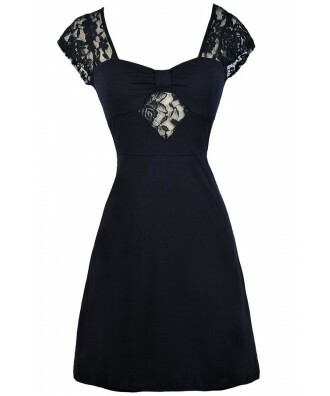 You have set About A Girl Lace Inset Dress in Navy as a loved product. 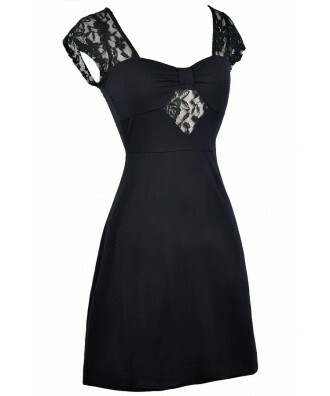 You have removed About A Girl Lace Inset Dress in Navy as a loved product.